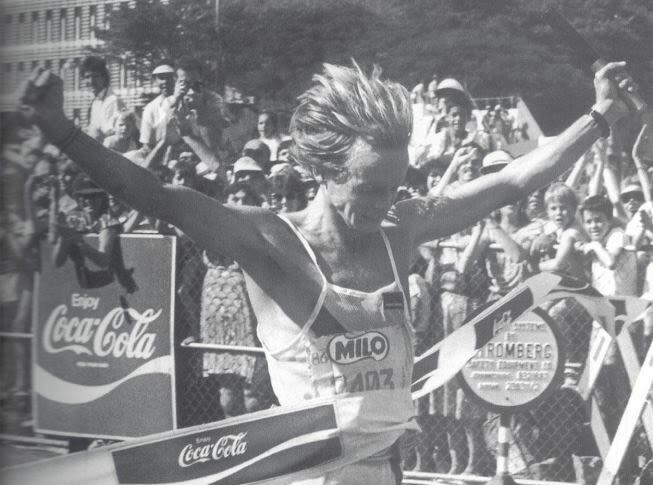 This week he interviewed Bruce Fordyce, one of South Africa’s all-time great athletes. Born in Hong Kong; Fordyce moved with his family to Johannesburg when he was 13 years old. Fordyce is most well-known for having won the 89 kilometre Comrades Marathon a record nine times (from 1981 to 1988 and again in 1990). On his first victory in 1981, Fordyce wore a black armband to protest the 20th-anniversary celebrations of the apartheid republic, attracting boos from the crowd and even a rotten tomato by a fellow runner. He holds the world record for over 50 miles, set during the 1983 London to Brighton ultramarathon. In 2004, he was voted the 64th greatest South African in history. Fordyce is a manager at Park Run South Africa, a free-entry 5km event. What does Fordyce believe about money? How did his childhood experiences shape his views about money? Scatter my ashes next to a beautiful river or dam in Kruger Park! I suppose I’ve got elder statesman status. It took forever for Wally Hayward to die… I’m in a great age group because quite a lot of my opposition is dead!